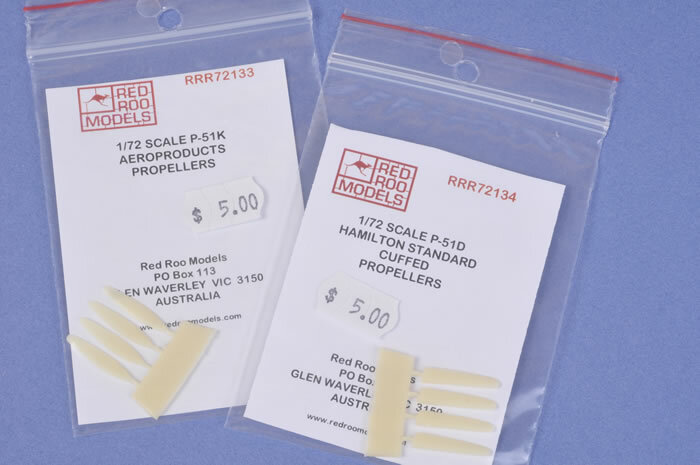 RRR72133 Aeroproducts props for P-51D & K.
4 resin prop blades on one pour block in a zip-lock plastic bag for each set. 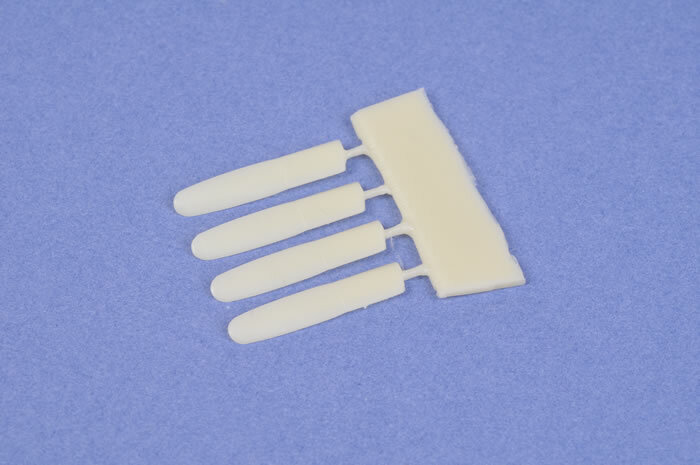 Accurately shaped and moulded parts to be used as a direct replacement for parts in Hasegawa kits. Hasegawa is the only manufacturer that I know of who do their props with individual blades in this scale, however, these still may be able to be used in other kits where one-piece props are supplied. 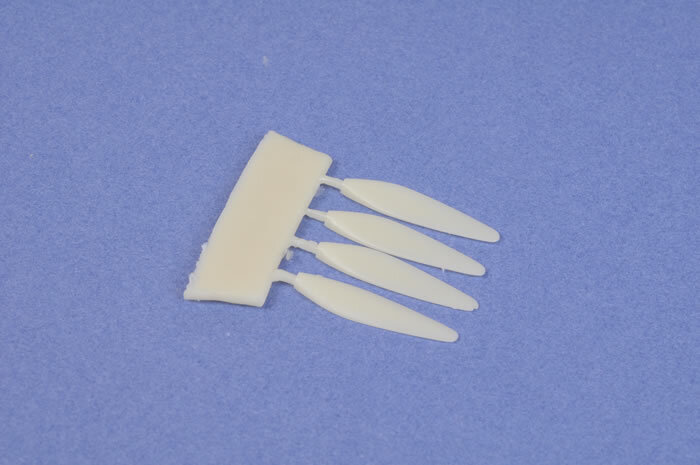 These sets are made specifically for the 1/72 scale Hasegawa kits which have the prop blade as separate parts and have a small lug on the shaft which when lined up with a nick in the prop centre gives the correct pitch to each blade. Now Hasegawa Mustang kits are not the best on the market having some serious shape problems although very well moulded. I'm sure, with a bit of thought, these could be used to replace one-piece prop blades in any Mustang kit irrespective of which mark it is. So, are you into Braille Scale Mustangs? It is after all one of the most popular subject in the hobby, after perhaps the Bf-109, Fw 190 and Spitfire. Here is a credible alternative to the kit parts, including the option of having Aeroproducts blades on your Hasegawa 1/72 scale kit.